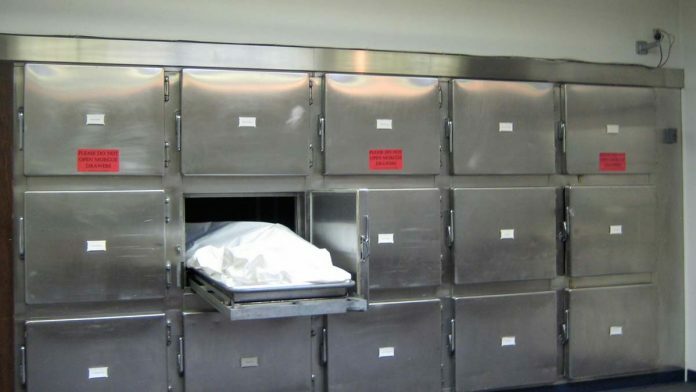 Three mortuary attendants, who police accused of cutting off the two wrists and the heart of a dead woman, were on Thursday brought before a Yaba Chief Magistrates’ Court in Lagos. The Police Prosecutor, ASP Roma, Unuigbe, told the court that the accused persons committed the offence on November 16, at St. Raphael Divine Mercy Hospital in Ijede, Ikorodu area of Lagos. Unuigbe said that one Athony Lawani, lodged a complaint to the police that the body of his sister, 51-year-old Mary Ehinlaiye, which was deposited at the morgue was missing. “My Lord, the complainant had gone to the mortuary to collect his sister’s body for burial but the attendant’s could not present the body to him. Section 165 (b) provides for five years imprisonment while 411 provides two years for conspiracy.